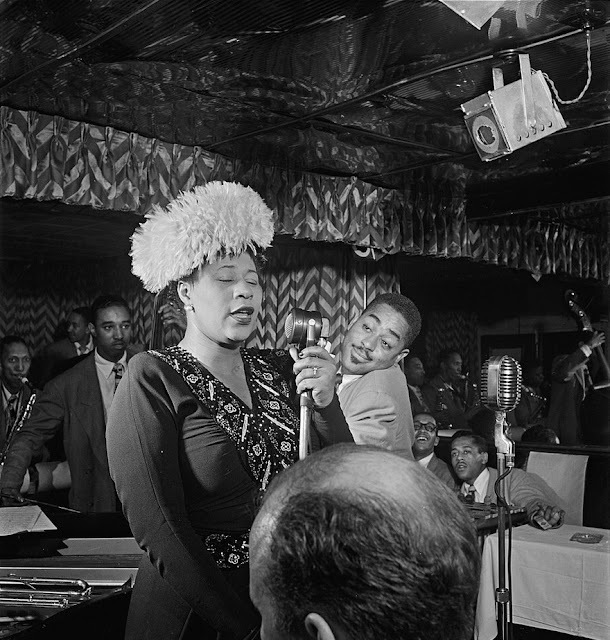 My favorite photo of Ella Fitzgerald - I think this will be the costume, if possible, in my eventual production. 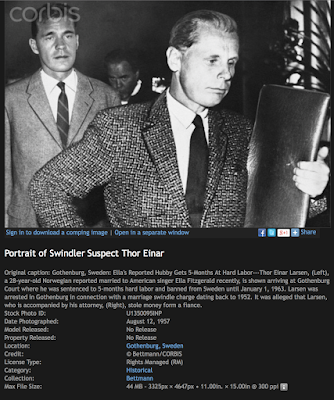 In other play research, I found a clip of Ella Fitzgerald talking about her ill-fated affair with Thor Einar Larsen. A big deal is made out of the fact that he was white, but also noteworthy is his age - 28 to Ella's 41. The interviewer also mentions the Memorex commercial. Via the Jet archives there's this "portrait of a swindler suspect" - and mentions he is "reported married to American singer Ella Fitzgerald recently." Poor Ella - she was even more unlucky in love than Marilyn Monroe.